All suspense, no definitive winners. Will business obstruct rematches from happening? Peterson's best chance of defeating Garcia was to jab and move. Peterson, it was thought, would not have the physical strength to handle Garcia inside since Garcia was the bigger guy contemplating moving up in weight, and because Peterson was overpowered by Lucas Matthysse. Once it was reported that Peterson weighed 165 pounds on fight night, compared to Garcia at 157, it became clear that Peterson wanted to manhandle Garcia on the inside. Certainly the extra weight would be detrimental to movement. It turns out that Peterson jabbed and moved, but was also able to impose himself on Garcia inside, and still had the physical conditioning to stand between rounds. Little action occurred in the first five rounds, eliciting boos from the crowd in response to Peterson's excessive movement. During this time, Peterson was only able to land a jab – landing anything other than a jab forced him to stop moving and exchange, and Garcia definitely got the better of the exchanges in six and seven. Garcia looked to counter Peterson's jab with a right cross. The momentum decisively shifted in favor of Peterson from round eight onwards. 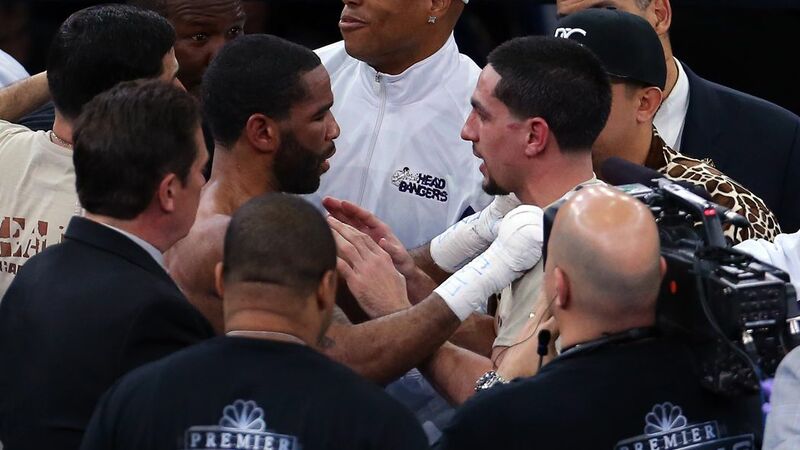 At this time, Garcia began to fold under Lamont Peterson's constant pressure. Peterson frequently landed big right hands. Garcia's good chin prevented him from getting knocked out, but it did not prevent the battering to his face. By round eleven, Garcia was exhausted, his power eroded, and he was being bullied into the ropes by Peterson. He finished round twelve in likeness. At no point during the fight did Garcia demonstrate an ability to cut the ring off on Peterson. Frequently Garcia's counters missed. He could only land when Peterson stood in front of him. This brings us back to what was said in the preview: Garcia is not a counter-puncher by choice of style, he has resorted to counter-punching as a result of his deficient footwork. Simply put, Garcia finds it easier for his opponent to come to him than the other way around. Garcia was awarded the majority decision (114-114, 115-113, 115-113) because Peterson could not marry his movement with activity in a manner where he could win the first seven rounds convincingly. While Garcia did not unquestionably win these early rounds, he was given the benefit of the doubt. Peter Quillin forfeited the chance to regain his WBO Middleweight title, weighing over the limit in two attempts. It almost ended in the first round when Quillin put Lee down with a looping right hand with thirty seconds left. It appeared that Lee wanted to walk it off as he rose to his feet but quickly stopped himself realizing that he was unsteady, not wanting to give the referee a chance to wave off the fight by staggering around. Lee was visibly shaken as he walked back to the corner. Regarding Quillin's right hand, it was clear that this punch would be available all night for him since Lee is given to squaring his shoulders for the purpose of cocking his counter-right hook. Aware of Lee's right hand, Quillin dipped his head underneath the right hook as he threw his own looping right. Lee is infamous for landing the counter-right hook on orthodox fighters attempting to land the right. By the second round, it was apparent that Lee was only looking to counter Quillin with a right hook. He began lowering his right in the guard position, seemingly to create a more upward angle on the right hook, anticipating that Quillin would dip again when he threw the right hand. Quillin should have taken advantage of this by landing his jab and left hook. Quillin walked into a counter-left from Lee in the third, severely wobbling, before being hit again by a right hook. This would have been Lee's round, but Quillin was given credit for a questionable knockdown for what was most likely the result of Lee tripping over Quillin's foot. This proved to be pivotal. In round seven, the tide turned. Lee was more active and had consistent success with his left hand thrown as a lead. Quillin was not active. Lee would have been easy to counter with a left hook as he tended to drop his right hand when throwing the left hand. But Quillin was unable to time Lee. 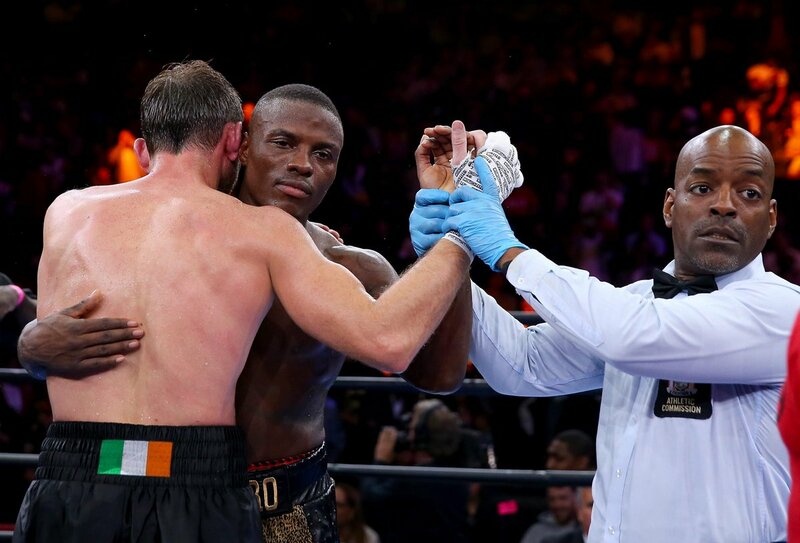 Quillin was knocked down from a counter-right hand at the end of the round as he attempted to land his own right, the first time in his career he had ever been down. The rest of the fight was consistent: Quillin was inactive, occasionally gambling by lunging forward, and Lee landed straight left hands. The final scorecards were 113-112, 113-112, 113-112, a split-draw. Quillin was fortunate to have earned a draw. Lee, the underdog, exceeded expectations. It is worth noting that Andy Lee has recently fought at junior-middleweight and is therefore a small middleweight. Had Lee been a naturally bigger middleweight, he may have stopped Quillin. 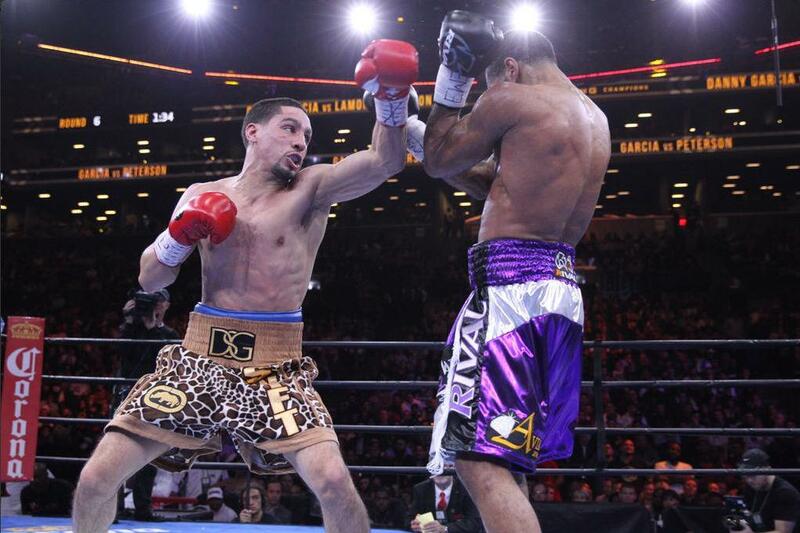 Dany Garcia controversially tops Lamont Peterson in Brooklyn.